Bill Foley appears very confident he will be awarded an expansion NHL franchise. The Florida billionaire has bought a house in a Las Vegas suburb, reports the Las Vegas Review-Journal. Foley, teaming up with the Maloof brothers in trying to land a team in Nevada in time for the 2016-17 season, closed on a property in Summerlin on Wednesday while his wife bought a new car. 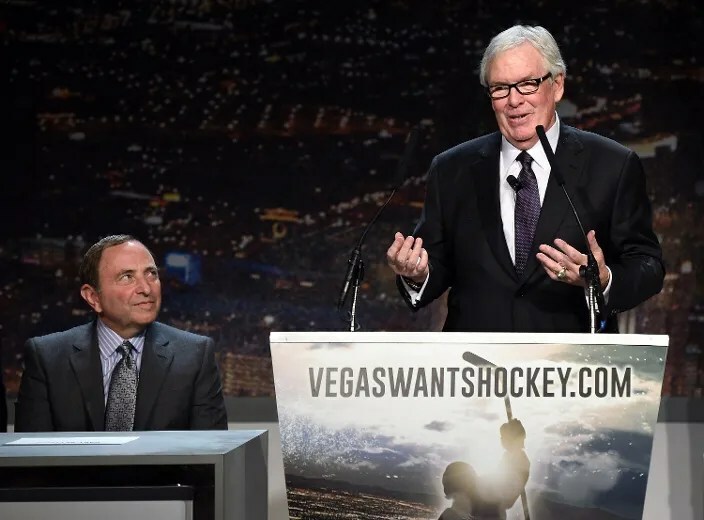 A privately-financed arena, currently being built on the Las Vegas gambling strip by MGM Resorts International and Anschutz Entertainment Group, will seat 17,500 for hockey. It is expected to open by late April 2016. Fidelity National Financial, Foley’s Jacksonville, Fla.-based mortgage and title company, is also reportedly planning to open a steakhouse in the Las Vegas area. He is also negotiating with MGM to open a restaurant in the plaza leading to the arena. A season-ticket drive that began Feb. 9 reached the 9,000-deposit mark on March 15. The drive is still short of the 10,000 commitments the NHL would like to see before it takes Foley’s group seriously. “The more we sell, the stronger the argument,” Foley told the Review-Journal. If Foley reaches the deposit goal by the end of March and is granted a franchise, he would begin the process of hiring a president, general manager, head coach and building a practice facility. Although Foley has not been invited to any meetings with the NHL, he would like to start the expansion process sooner than later. “We need to get going,” Foley said.